Today’s summer rerun—and this is the last one!—originally appeared on May 31, 2013. We live in an exciting time, folks. 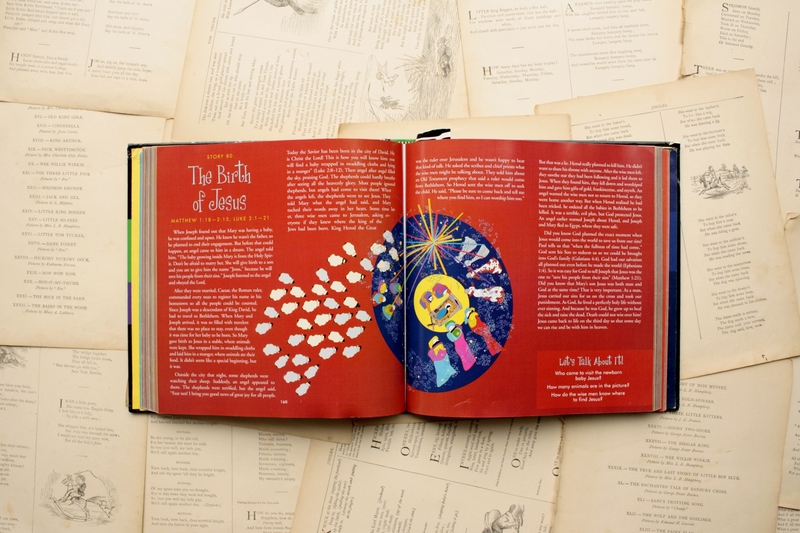 Say what you like about information overload or environmental threats or the public school system—when it comes to story Bibles, we live in a great time. 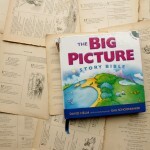 There seem to be new story Bibles published each year, of such a depth and quality that we, as adults, are blessed by them! Kids like them, too, of course, but when I sit and read to my children and know that I’m not only hearing old tales retold but am being reminded of the One who originally authored them, I know that something fabulous is happening in my heart and in the little hearts beside me. 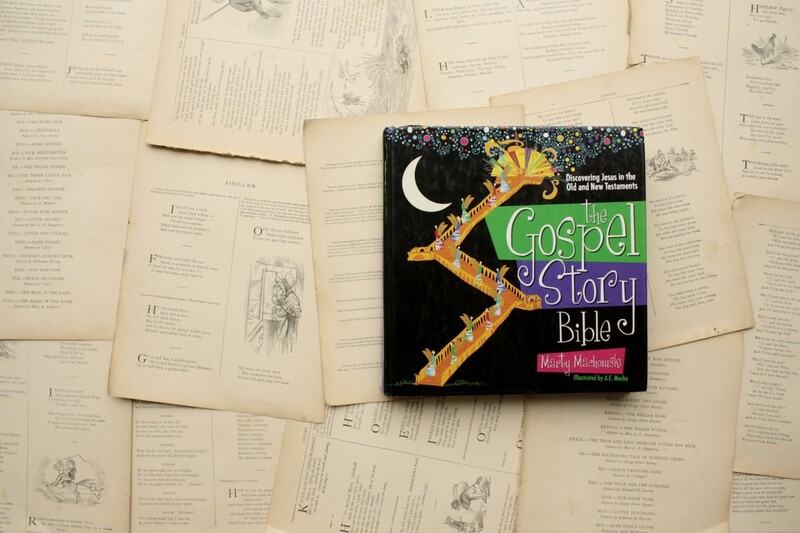 We have many story Bibles, but find ourselves returning to a proven few: The Jesus Storybook Bible, The Big Picture Story Bible and today’s guest of honor, The Gospel Story Bible. 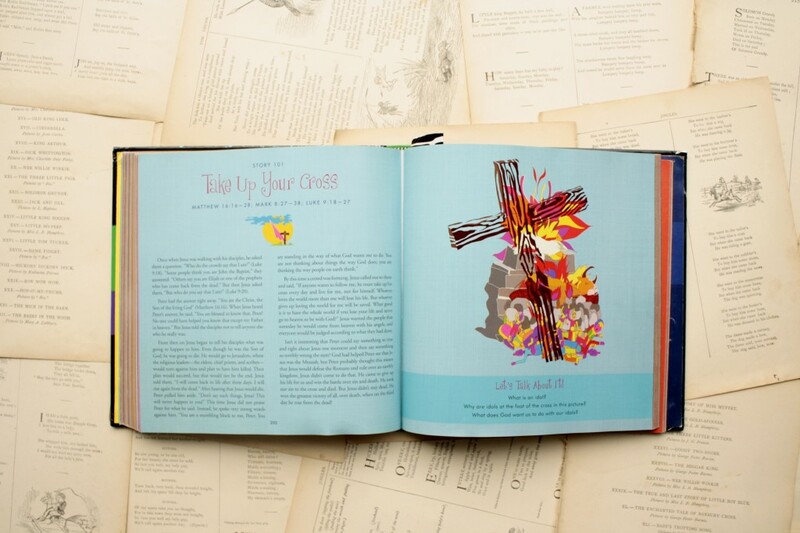 What we love best about this Bible is the fact that it represents a vast swath of Scripture, including stories that are often glossed over or ignored by other authors. 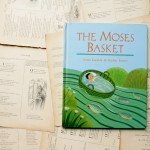 I mean, there are six stories about Jacob alone, whose questionable choices leave him somewhat under-represented in children’s literature, as well as passages from the prophets and a few of the less savory moments from Israel’s exile. 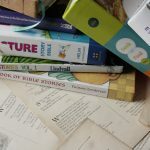 I respect an author who doesn’t shy away from the more challenging parts of Scripture, but who tells them well and uses those stories to display, again and again, the goodness and grace of God and his unswerving plan to redeem his creation, no matter how far we fall, or how fully we deny him. These challenging stories give rise to interesting discussions, so be prepared to engage with your kids: you can’t get away with reading one story, snapping the book shut and bundling them off to bed. Your kids will ask questions. In fact, Marty Machowski seems to anticpate that, and at the end of each story he includes three simple questions, usually based on the story’s illustration. 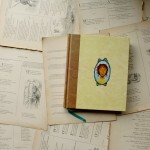 Our girls love these, and this allows us time to discuss the contents of our reading at its close. In fact, one daughter knows that there are three questions, and if we ever skip one, she is quick to call us out. 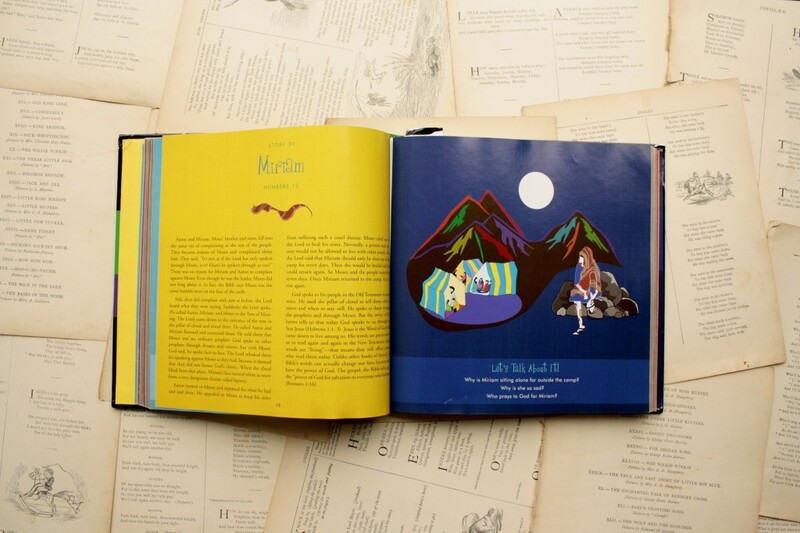 The illustrations, by A.E. Macha, are unlike anything I’ve seen: simple and intricate in turns, they hold our daughters’ attention and embellish each story well. Personally, I’m not always sure that I like the style of the drawings but I am consistently drawn to them, if you know what I mean. And I love the overall palette of the book: bright, strikingly bright, but with deep, dark accents as well. 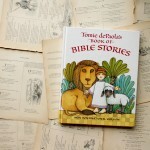 If you find that your family is ready for a new story Bible, I heartily recommend this one. 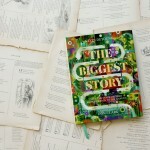 It takes time to read the whole thing through (there are so many stories! ), but as you do, you’ll find yourself getting a clearer picture of the whole of Scripture, bead by shining bead. 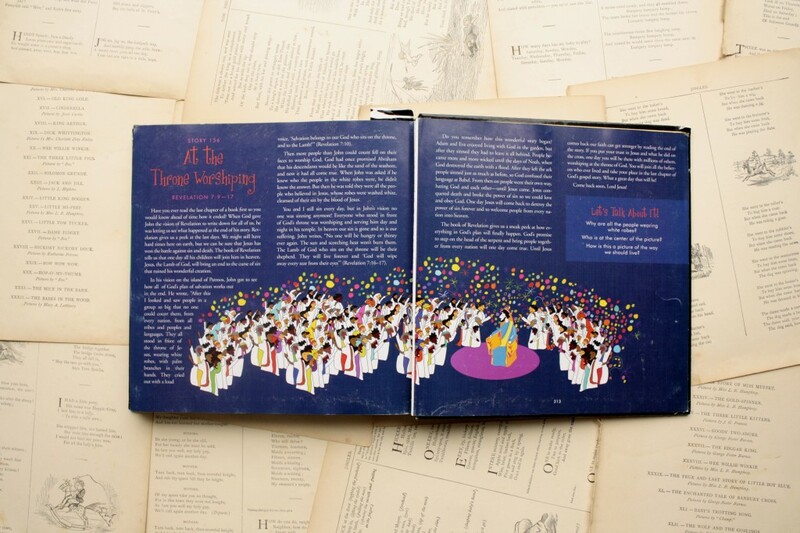 Do you have a favorite story Bible? I’m always on the look out for others!